Experience a wonderful, tranquil balloon ride with only the occasional blast of the gas burner. 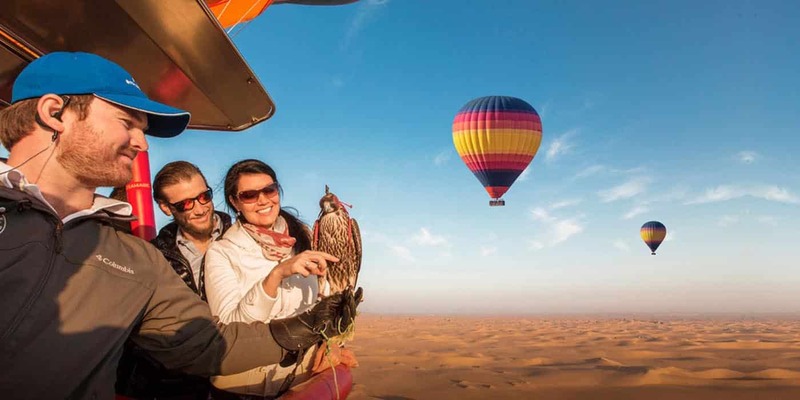 These rides take place at sunrise over the beautiful red desert sands near Fossil Rock between Dubai and Hatta. 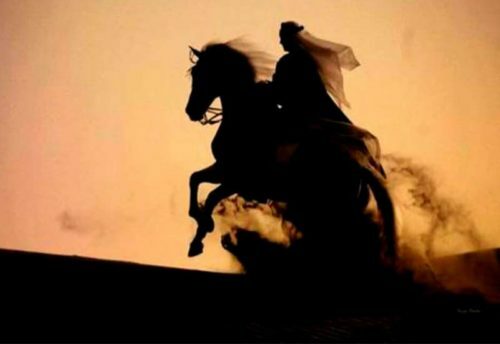 Be mesmerized by the giant crescent-shaped dunes below you, the rugged Hajj mountains to the east, and the “21st century” skyline of Dubai to the west, as you rise high into the immense blue of the desert sky. Please send us your passport copy for the booking. Dubai is a city which is known for its popular beaches, parks, malls, deserts and luxurious lifestyle. Every person here have experienced the luxurious lifestyle. The number of activities here amazes every person who visits Dubai as a tourist. You must have heard that if you visited Dubai but you didn’t visit this or that place so why did you visited Dubai. 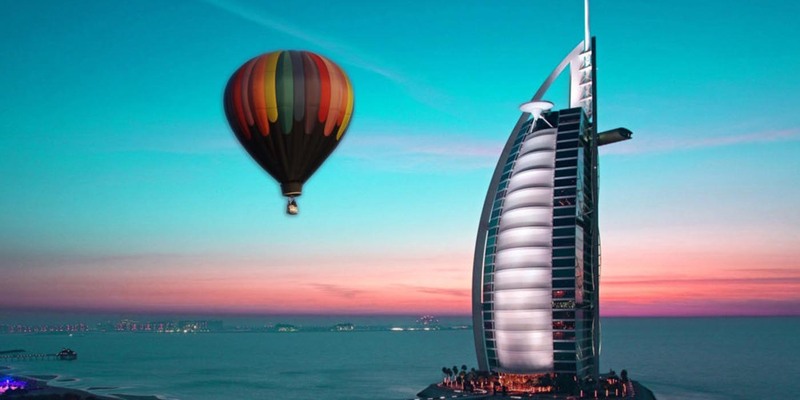 I am also here to say something like this that, if you visited Dubai but didn’t get a Hot air balloon experience so what is the use of visiting Dubai then? 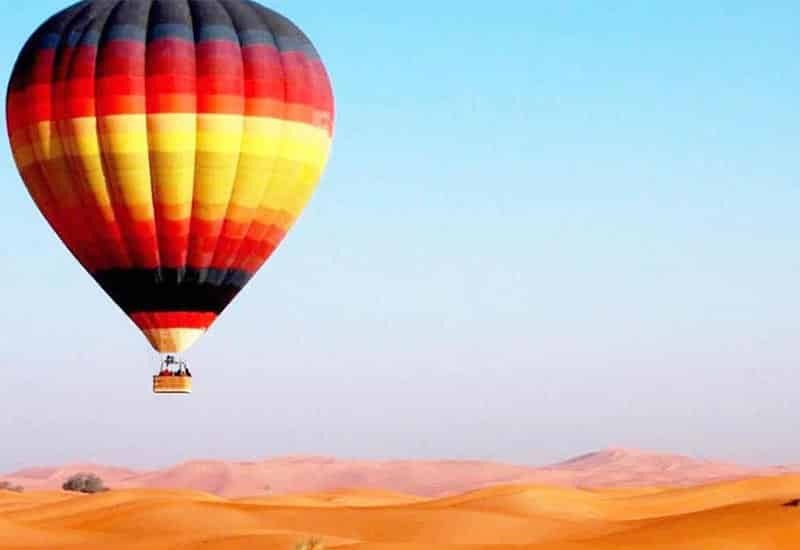 The first question that will go through your mind after reading this would be that why am I saying that Hot air balloon is a must to do activity here at Dubai? So yeah let me answer your questions. Hot air balloon contains a bag called envelope which is attached to a basket beneath it. That basket carries passengers on it and also a heat source within it. When the fire is blown that heat source blows the bag and Hot air balloon is transported into the sky. Have you ever get an experience of Hot air balloon? If not, let me take you to some imaginations to explain you the vibes which you will get in a Hot air balloon. Winds are already known for calming people, like if the weather is windy so that weather can calm and relax a person already if compared to other weather types. So yes just imagine you are sitting in a basket which is covered with a huge bag above it and that bag looks like a huge balloon which is all colorful and pretty and is reflecting a number of color shades on your face. And that huge ride is slowly being raised up towards the sky and the cold winds are blowing through your face and finally you are on the top the view there at that time would be so aesthetically pleasing for you that just because of that view you will not feel like going back after the end of the ride. If you will be there before sunset so you will be able to see the sun setting in the sand dunes and also the conversion of brightness into darkness and if you will be there after the sunrise so you will be able to see the bright glowing sky also the chirping of birds which will sooth your ears. The best part of this experience is that you will be able to see the land with a very top view and with a very wide and beautiful angle. We will pick you at your mentioned time and location. It will be an hour experience. You will be served refreshment after it and then you will be dropped back to your mentioned drop off point. And it depends upon you that you select timings either before sunset or after sunrise.